cocktails | Hot vegan chick.....peas! You guys, I am so incredibly pleased with myself tonight. I mean, I just followed a recipe, but DAMN. If it were possible to marry a food, I would marry the heck out of these puppies. Tonight’s appetizer comes from The Inspired Vegan (see, I told you it would pop up again!). 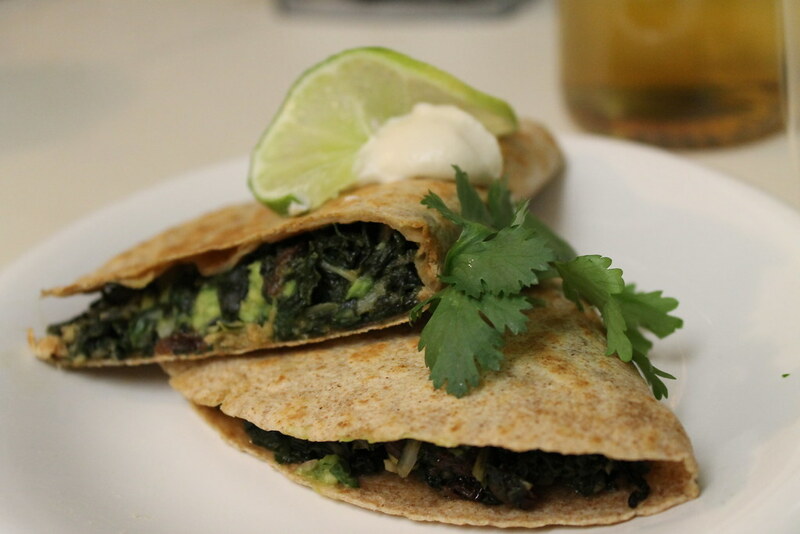 I’ve made these before and thought they were delicious but do you ever have those nights where a certain food really hits the spot like nothing else? That was me tonight. 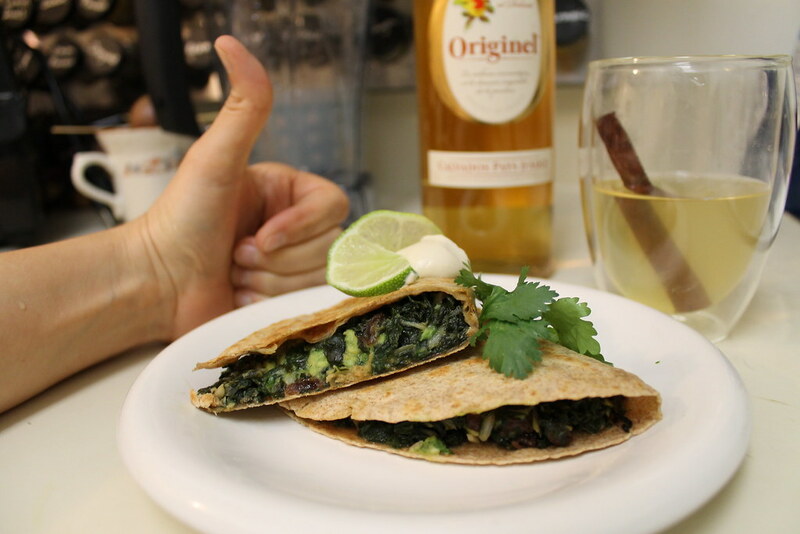 These are like the perfect healthy vegan quesadilla — rich, spicy guacamole and sweet & tangy chard smooshed inside a nutty whole wheat tortilla. Wowzers. 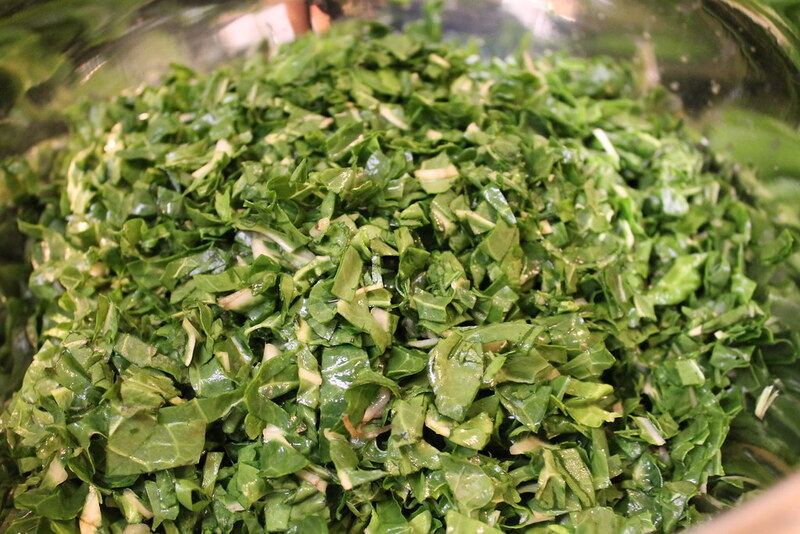 You start off by blanching a bunch of finely chopped chard. And then this…. 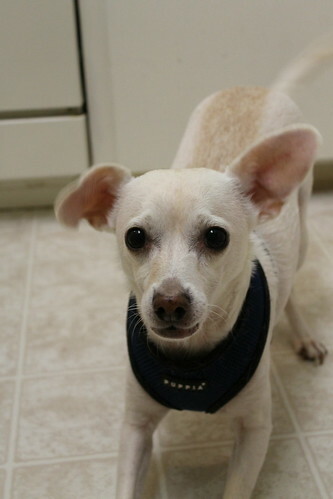 ….becomes this. In addition to just draining the chard, I hand squeezed a lot of the liquid out because it helps in the sautéing step that comes next. I don’t think I’ll ever not be amazed by how much greens cook down! 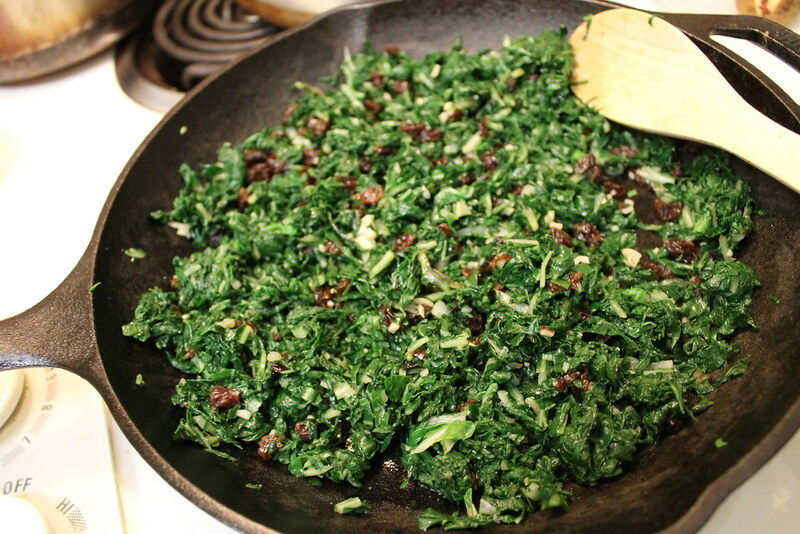 After the chard has cooled, you saute it with some garlic, currants (I used chopped raisins), and orange juice. 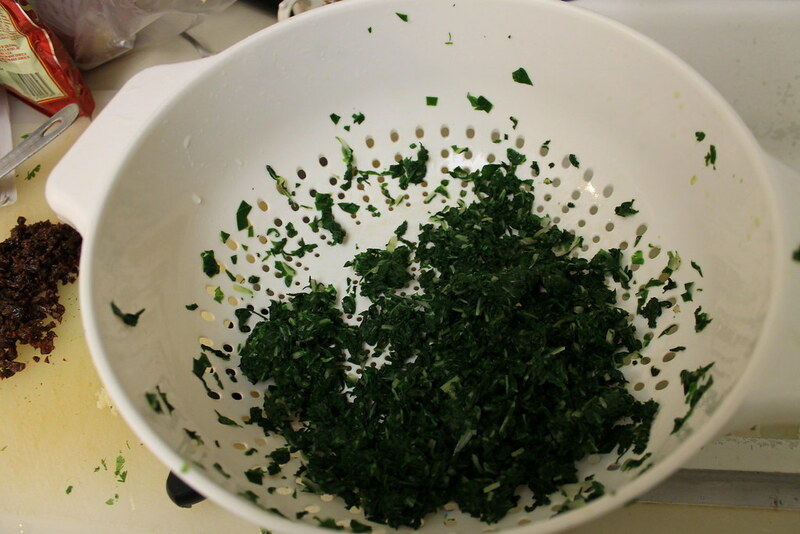 I’ve made this greens recipe a lot just as a side dish, too. It’s a nice light way to cook up collards or chard. 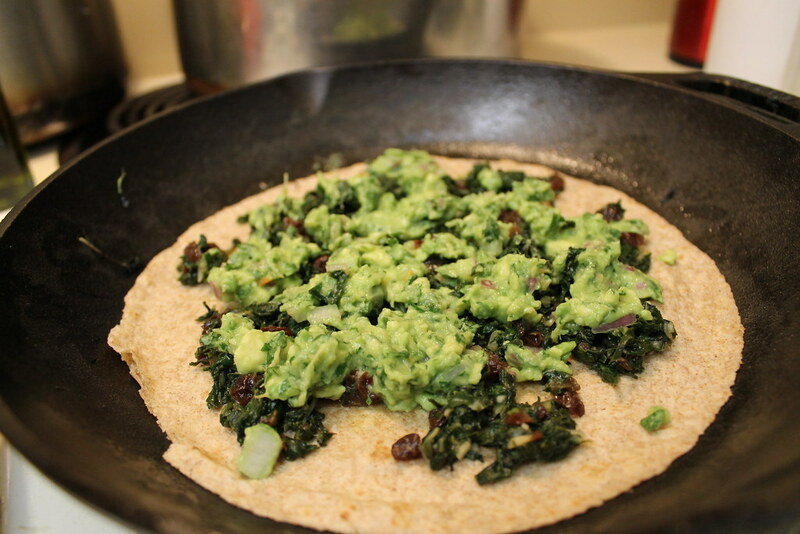 The mix goes into a tortilla along with some spicy guacamole and you pan fry them together for a few minutes so the tortilla gets nice and crispy. Then fold it in half, and you’re good to go! So these are great by themselves but I strongly recommend a little cashew crema on the side (my recipe comes from Viva Vegan). The rich and tangy cream is a great complement! That drink you see on the right is the second half of tonight’s post and is another Bryant Terry creation, this time from Vegan Soul Kitchen. It’s pretty much the perfect fall cocktail, drawing its flavor from cinnamon and apple brandy. 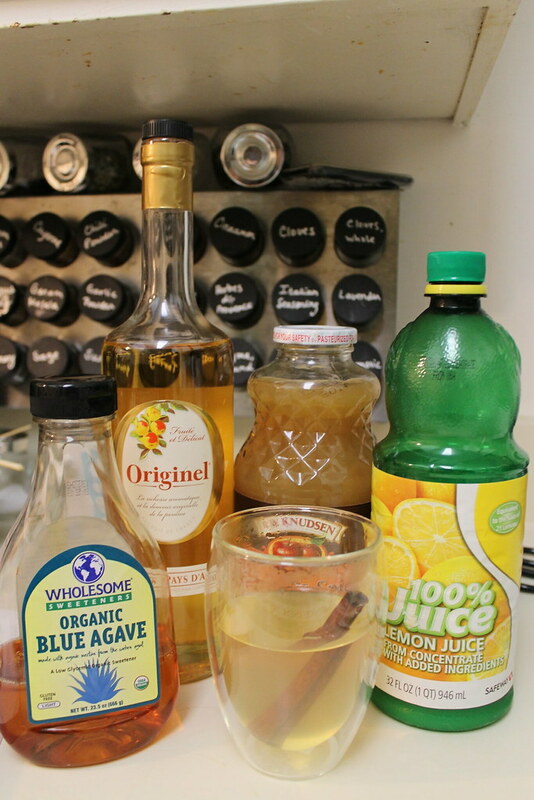 The cinnamon stick is steeped in boiling water for a minutes, then you add apple jack, agave nectar, a little lemon juice, and some apple juice (I used cider!). I’m usually not a big fan of warm cocktails because the evaporating alcohol always burns my nose, but this was so tasty I’m willing to overlook that! I bought applejack specifically for this recipe but had decided to try it on its own first to get a good idea of the flavor. Blech — I am definitely not a brandy girl! It was way too strong and I couldn’t really appreciate the apple undertones. Mixed with juice and a cinnamon infusion, it was just right!